Every year, I look far more forward to seeing and meeting the people who most matter at these comic conventions, the creators. 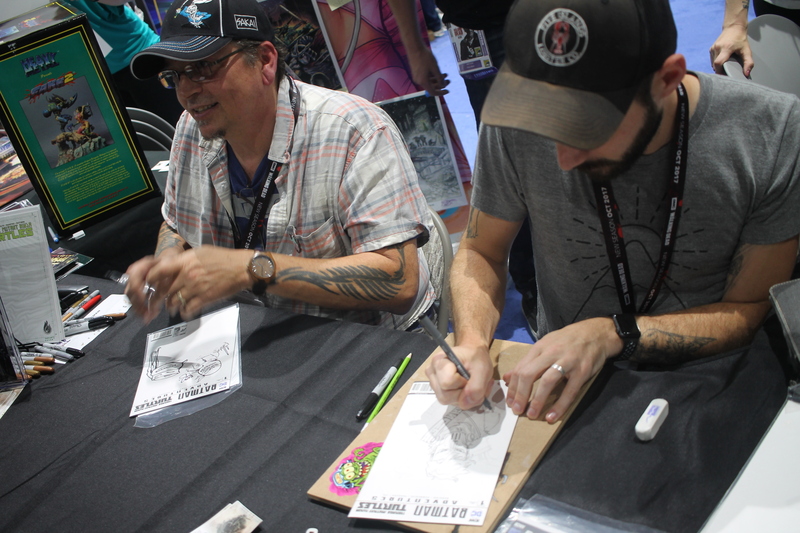 These creators matter, who bring characters and their world to life; they who write, script, draw, ink, color, plan and build the works many have come to immerse themselves. 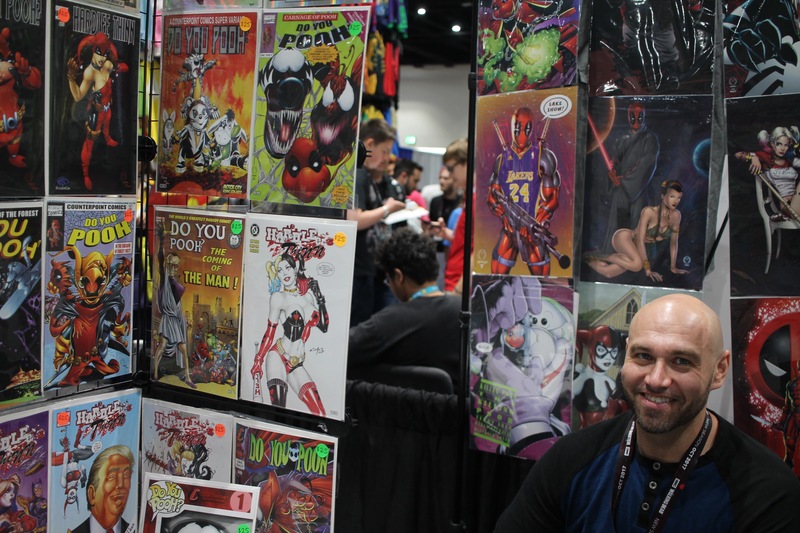 The San Diego Comic Con delivers their presence well and throughout the Exhibit Floor and various panels. Here, they are a cornerstone of the show’s current success, present since the start. Below, are some select pics of many creators, who range from well-known to just starting out. Some are personal favorites, while some are here to make themselves and their work known. 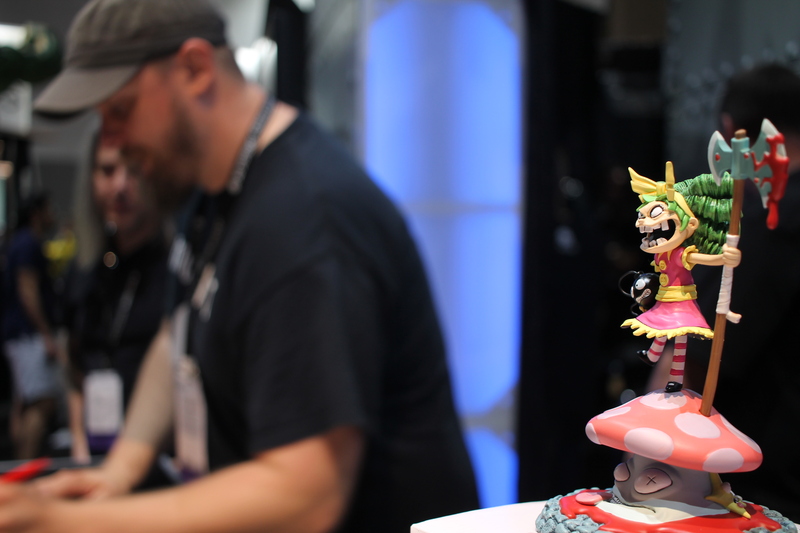 Seeing and meeting such people are a favorite part of the show, especially on the Exhibit Floor. 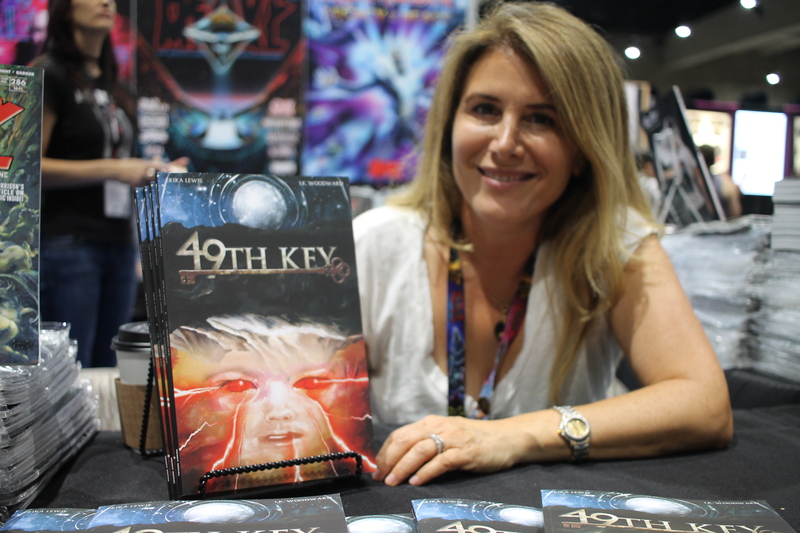 At the Heavy Metal booth, Erika Lewis (writer, artist, creator) pitched me her magical graphic novel series, The 49th Key. You can preview it here. 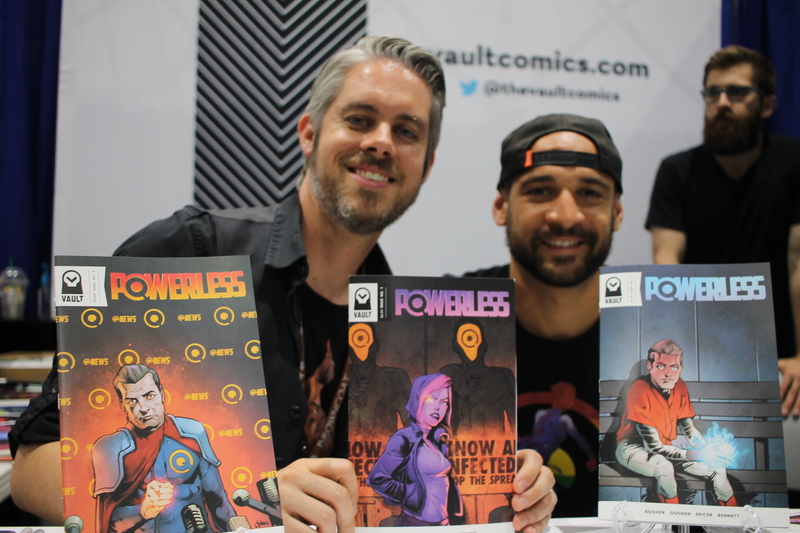 Writer David M. Booher and artist Nathan C. Gooden after pitching their proud work Powerless at the Vault Comics booth. Inside the series is a world where everyone has superpowers until a virus eats them away. You check out more on the series and Vault Comics here. 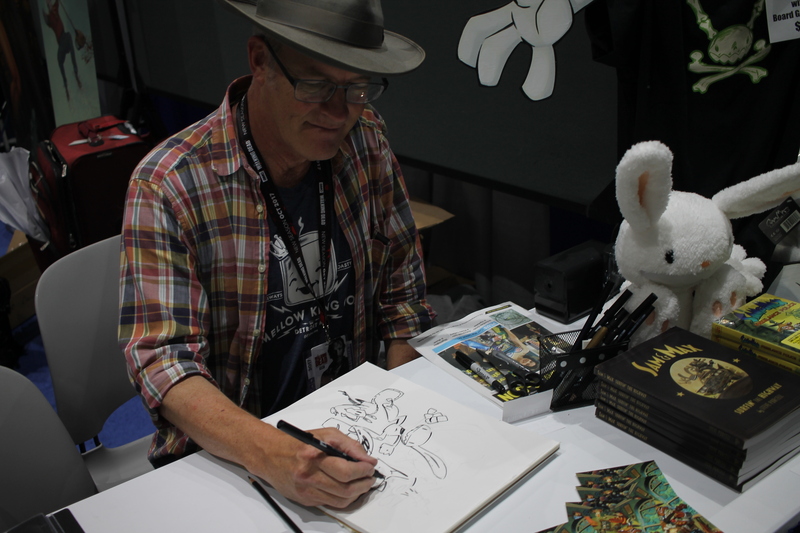 The creator of Sam and Max: Freelance Detectives, Steve Purcell at his own booth in Artist Alley. 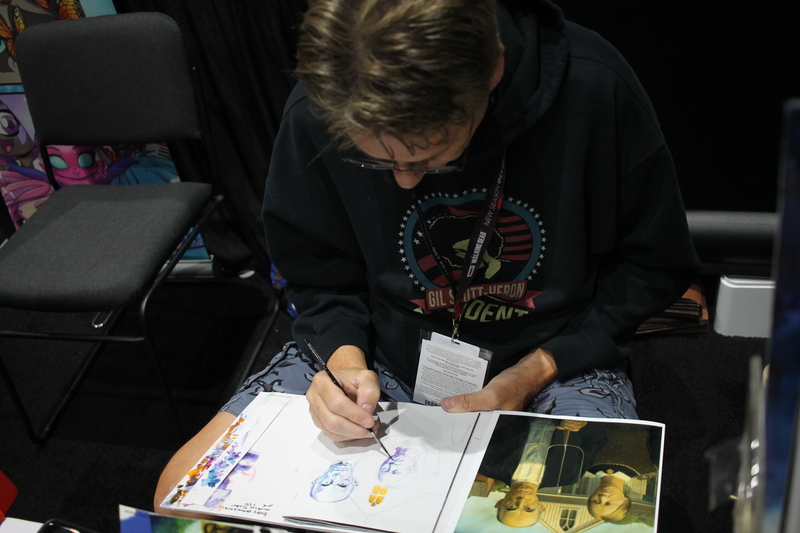 He talked a bit, and he signed my season one DVD of the Sam and Max TV show. 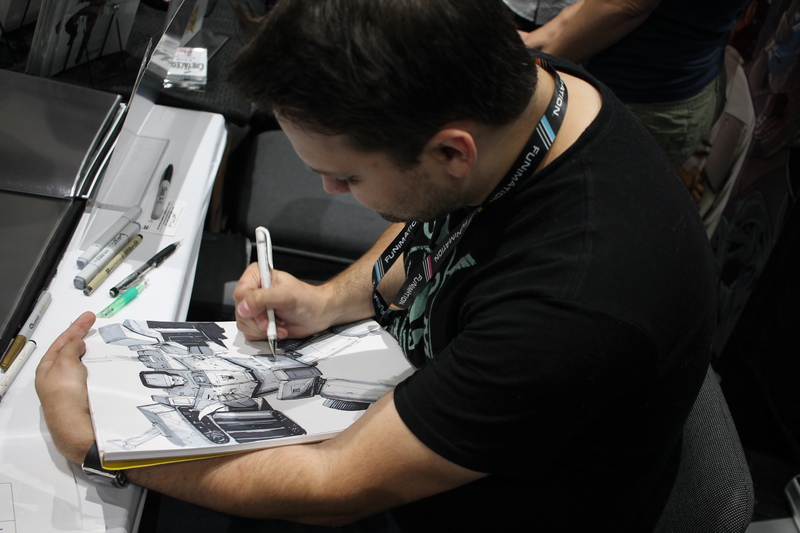 My favorite Transformers comics artist Livio Ramondelli, at work. 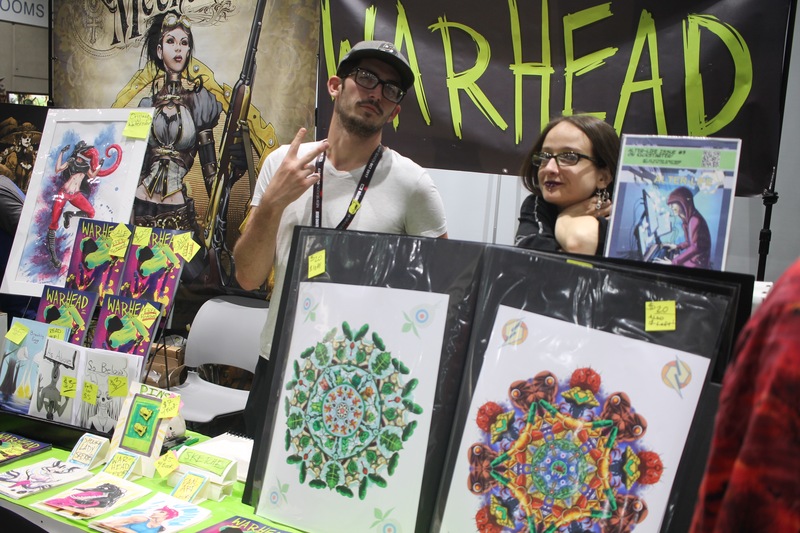 In the Small Press area at the Warhead K. E. K. booth. On the right is Katrina E. Kunstmann, artist. Check out her work here and her Warhead webcomic here. 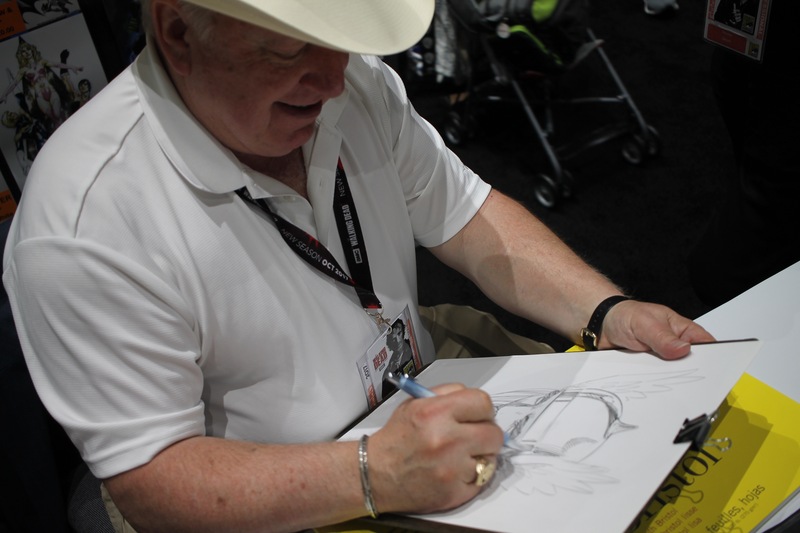 Legendary artist and storyteller Mike Grell, best known for his run on Green Arrow. We talked much about life in Seattle and that influence on the Green Arrow comics lore. 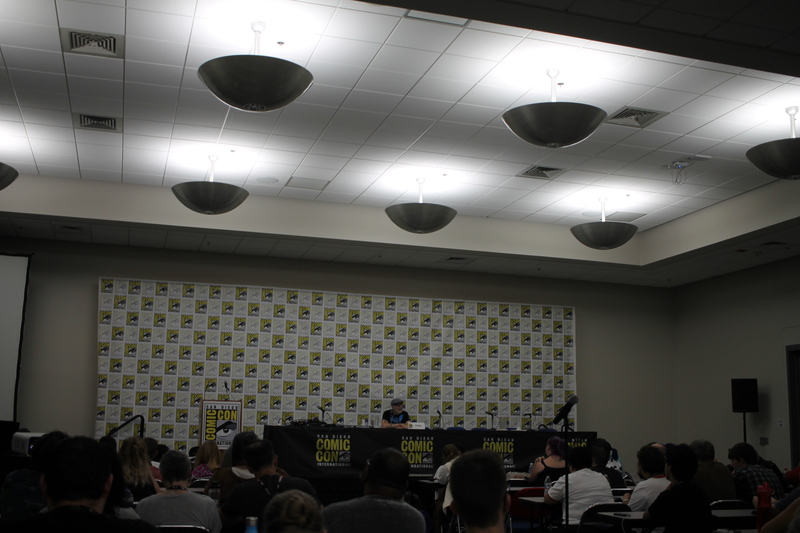 Longtime writer Marv Wolfman, hosting a classroom style panel at Comic Con. Didn’t have a better camera, but a real joy to hear him talk about his craft and give great advice to the crowd. 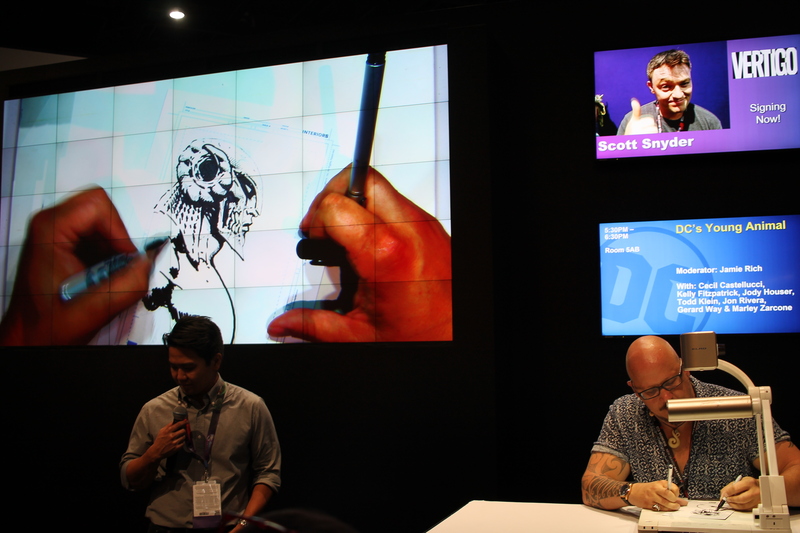 Artist, writer Scottie Young greeting and signing for fans, as Gert, star of his acclaimed Image comics series I Hate Fairyland looks on. 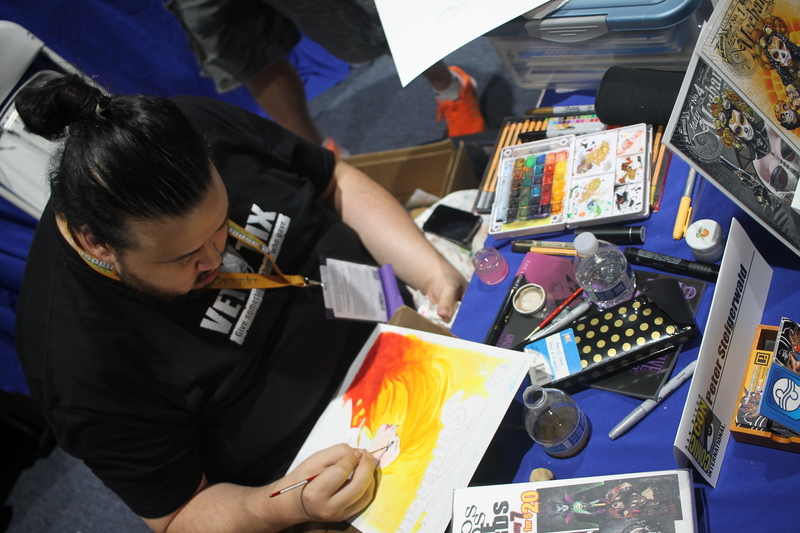 Artist Ken Mayer Jr, at work in Artist Alley. 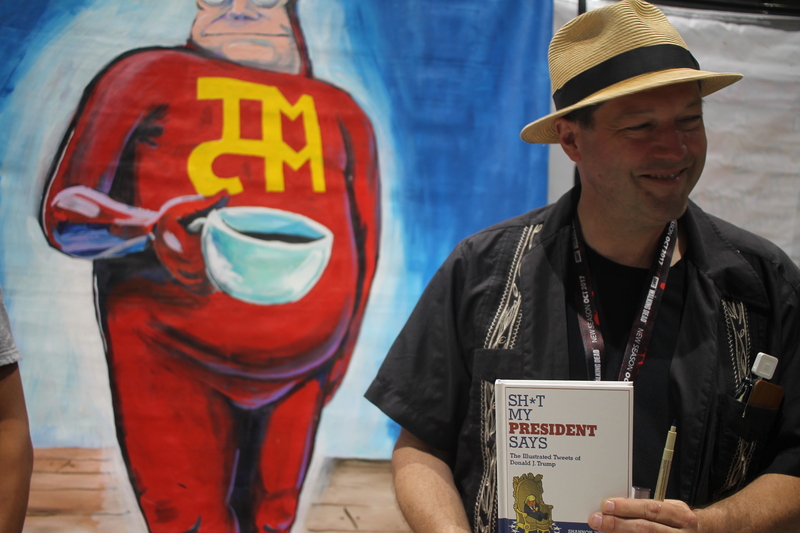 Bill Maus, long time comic artist in the comics alley, living his craft. 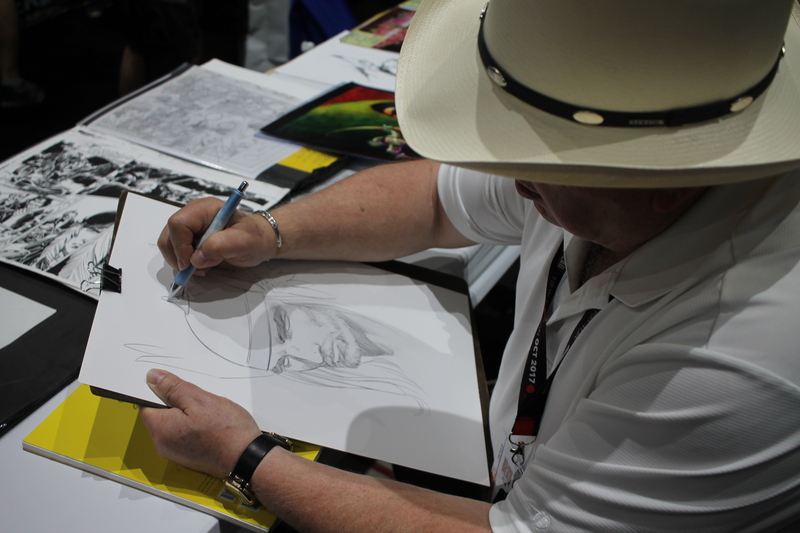 Liam Sharp, live sketching a headshot of Ares, the God of War (of recent Wonder Woman comics). 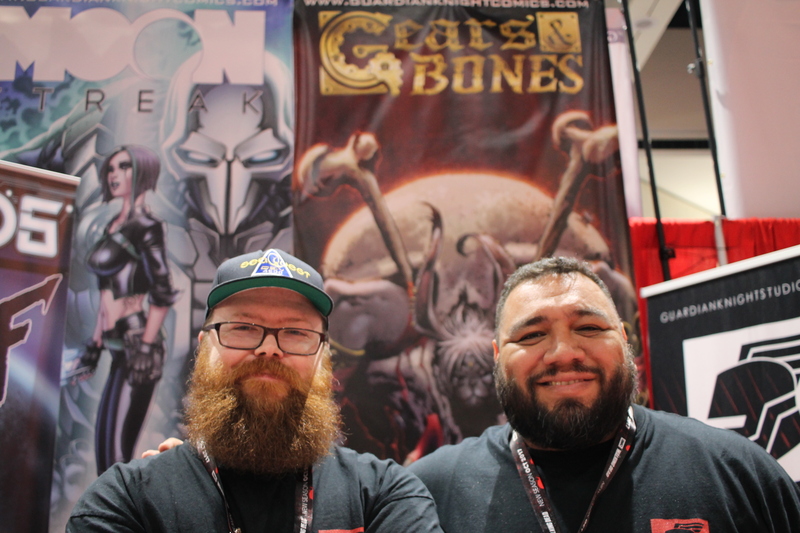 Andrew Anderson and Osvaldo Montpeller present Gears and Bones, from Guardian Knight Comics. They tell me of this fantasy comic series of pirates, dragons, and other awesome things that interest me. I look forward towards checking my purchase from them soon. 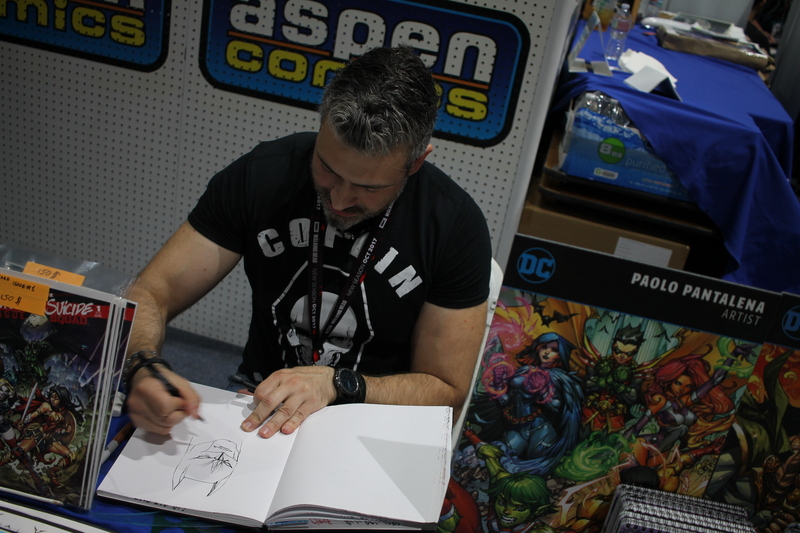 Artist Paolo Pantalena, at the Aspen Comics booth. 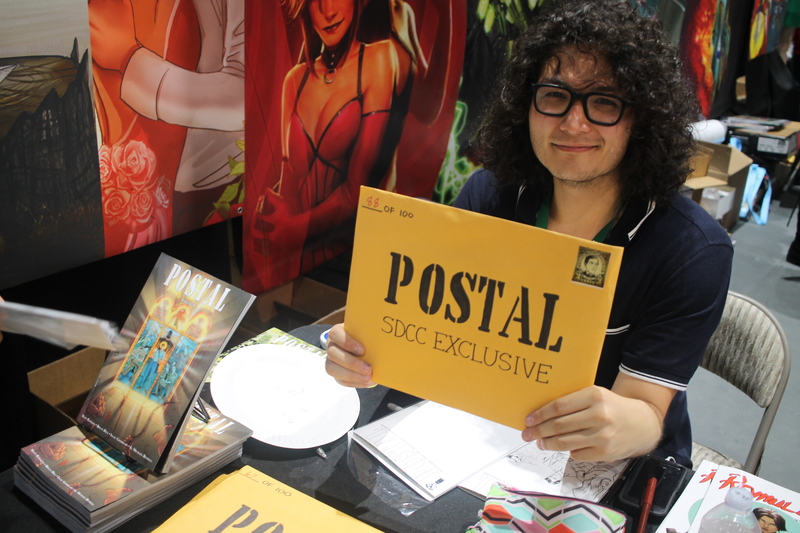 Isaac Goodhart, artist on Postal (from Image Comics). 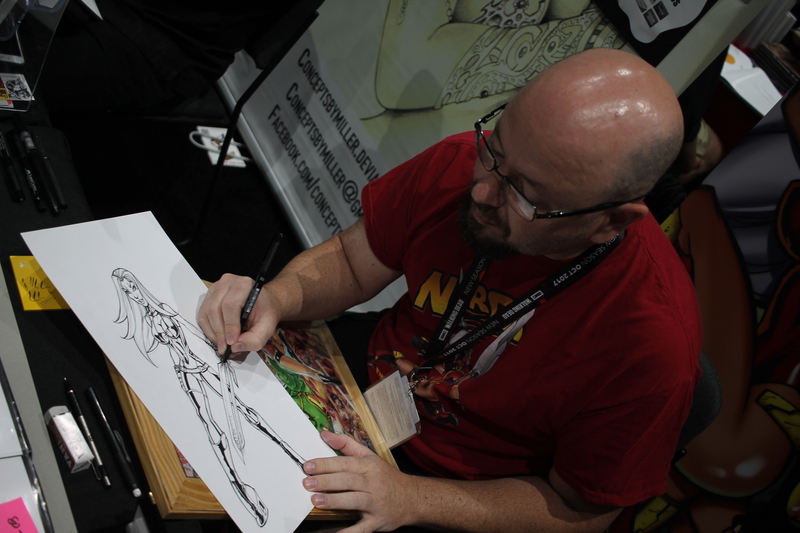 He promotes his work well at the Top Cow booth. Awesome and very funny cartoonist Shannon Wheeler, best known for his Too Much Coffee Man work. Now, he proudly presents his latest work, Sh*t My President Says, The Illustrated Tweets of Donald J. Trump. 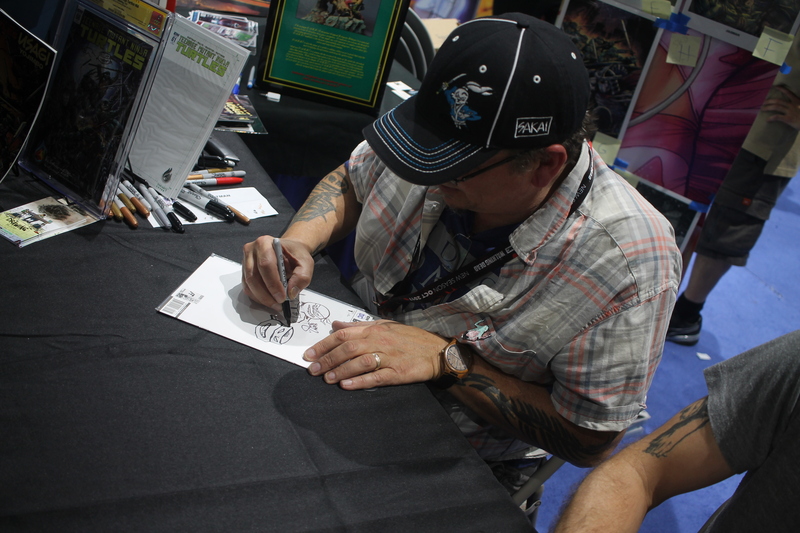 Kevin Eastman, co-creator of the Teenage Mutant Ninja Turtles, drawing his Heroes in a Half Shell for a fan. 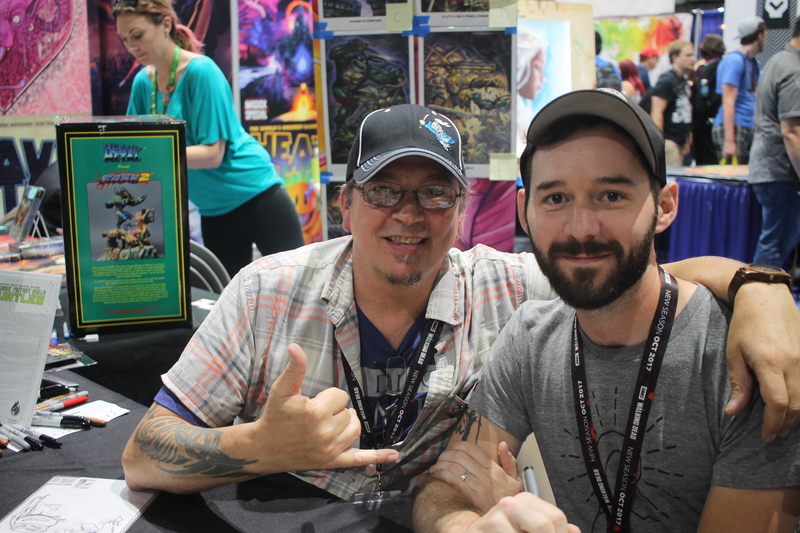 Kevin Eastman and Ben Bishop. together for signings and people greet. Also, promoting a new Kickstarter project both are working on together Drawing Blood, coming soon. And, that’s all for now for Part 3. Come back to strangerworlds.com, for Comic Con recaps.